Heat oven to 350°F. Spray 12-inch cast-iron skillet with cooking spray. 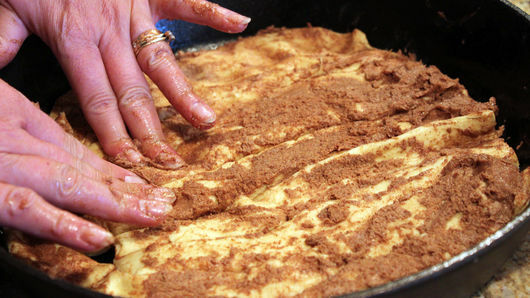 Unroll caramel rolls into strips (set container of caramel sauce aside). Cut strips in half; place in skillet, covering bottom of skillet and cutting into smaller pieces as necessary to fit. Press seams to seal. 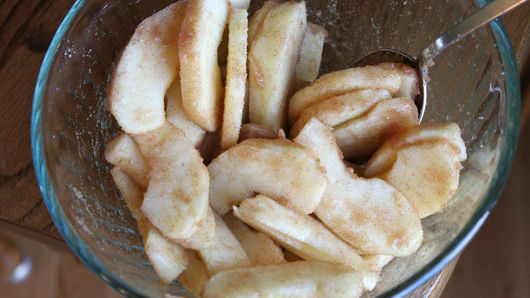 In medium bowl, toss apples with sugar and cinnamon. 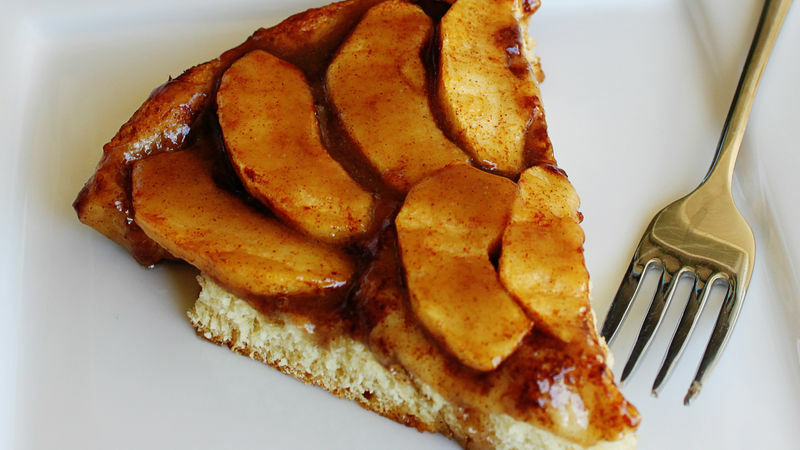 Arrange apples on dough in skillet. Bake 30 minutes or until apples are tender when pierced with fork. Remove lid from container of caramel sauce; microwave on High 10 seconds. Drizzle caramel sauce over apples. Let stand 10 minutes. Cut into wedges; serve warm. Serve with a scoop of ice cream for a delicious dessert. Use your favorite variety of apple—any kind will work.